Q: Why are we moving to two gatherings? On a very practical level, we are moving from a theater that seats 550 to a new space that seats (maybe) 350. We just won’t fit together in one space any longer. Q: When will the gatherings be? When will this start? Starting this Sunday (March 29th), our gathering times will be at 9am and 11:15am at 2333 Western Ave, located in the Belltown neighborhood. Q: What are the benefits of going to two gatherings? There are many benefits of going to two gatherings given where we are as a church. First, two gatherings will open up more seats and, therefore, more space for people to know, and grow, in Jesus. Second, two gatherings will create smaller gatherings where we can actually recognize and get to know those around us (unlike at AMC). Third, two gatherings will create more options for Sunday morning worship and, therefore, greater flexibility. Fourth, two gatherings will ensure that no one needs to miss a gathering because they are volunteering. For example, if you volunteer with Cornerstone Kids or Security you can now volunteer during one gathering and participate in the other. Fifth, two gatherings will give more people the opportunity and joy of stepping out in faith to volunteer and serve in significant ways. Sixth, moving to two gatherings will prepare us for a similar dynamic that will take place when we send out our first church plant. All told, this is a really good move for us. Q: Why don’t we start a new church instead of starting a second gathering? We would love to plant a new church. We still plan to, Lord willing, many times over. We just don’t have anyone ready to lead a plant (yet). However, we are actively training men, saving money and praying to that end. It’s only a matter of time. If you’re interested, talk to me. Q: Why do you keep referring to them as “gatherings” instead of “services”? I promise I won’t be a stickler on this, but what happens on Sunday is a gathering not a service. We take our cars in for “service”, but we “gather” with Jesus’ people. Even more, what does that even mean? Is that talking about our service? God’s service? Who’s exactly being served again? The whole point of Sunday is not merely serving, or being served, but gathering together (after being scattered all week long) with Jesus’ people for worship, prayer, scripture and song. Q: Who will be preaching and leading in song at each gathering? Both gatherings will have the same preacher and band. Q: What will be different about each gathering? Generally speaking, apart from the Spirit moving otherwise, the overall flow and feel of both gatherings will be the same. Q: Will we have enough volunteers? The slots are filling up, but we still have volunteer needs. If you call DCC your church family, we highly encourage you to participate in the life of the family by serving in some capacity. Please visit the Connect Desk on Sunday or email info@downtowncornerstone.org to get signed-up. Q: Will this hurt our attendance, or lose momentum, by going to two gatherings? No, actually, in time we expect the opposite. Q: Won’t this create two churches in the same building? Will we lose unity? No. We are one church that now gathers across two different times, on the same day, in the same building. The reason we exist is to build a great city, through the gospel of Jesus Christ, for the glory of God. That is not changing. We will remain vigorously Jesus-centered, gospel-saturated and Spirit-led. We will remain committed to declaring the gospel (in word) and displaying its implications (in deed). We will remain primarily focused on people. We will continue to put our energies into cultivating disciple-making disciples. In a word, we are still DCC, just with a new home base. There are three primary places to park on Sundays. First, families, first-time visitors and those with any special needs may park for free in the two lots adjacent to our building (see map below). Second, for everyone else, you may park in the Art Institute parking garage and we will validate your parking. Again, unlike when we were at AMC, parking validation will now be for everyone. Just be sure to get a stamp on the way out. Third, for the time being, all street parking downtown remains free on Sunday. So, if you’re able to snag a spot near the building, have at it. Q: Where will I drop off my kids for Cornerstone Kids? Can I pre-register? Families can drop off their kids, with an adult, at the Cornerstone Kids entrance in the alley behind the building (see map above). There will be signage and volunteers directing the way. The CKids space and registration is just a short walk into the building. More information is available on the Cornerstone Kids group on The City. To expedite the check-in process, you can pre-register HERE. There’s truth to this. We won’t see all of the same people any more on Sunday. But, here’s the question: isn’t this already happening? It is for me. I rarely get to talk to everyone I want to on any given Sunday. I want to, but there are just too many people. Per above, creating smaller gatherings will actually enhance, not diminish, our ability to be in relationship with one another. Even more, a major function of our Cornerstone Communities is to create smaller, consistent relationships around Jesus, his Word and his call to live sent lives together. If you’re not yet in a community, now could be a good time to make that transition. I am humbled by Jesus’ goodness to us. I hope you are too. He didn’t have to provide this space, but He did any way. Let’s revel in His grace and ask Him to do something in this city that only He can do. It doesn’t have to be “business as usual” so let’s pray and labor to that end. Let’s ask Him to do something awesome here, for the glory of his name, and the joy of our entire city. Why do we want a building? You have inevitably heard that we are moving into a building located at 2333 Western Ave, in Belltown, with our first Sunday on March 29th. We will simultaneously be moving to two services at 9:00am and 11:15am. Jesus has been so kind to us over our last four years as a church plant. We’ve met in condos, apartments, office conference rooms, various party rooms, other church’s buildings, community centers, the Underground Tour, an office lobby, and four theaters within AMC. Not once have we lacked a space to meet and gather. In many ways it has been a tremendous blessing to be a mobile church. It forced us to embrace the biblical notion of the local church as a people, not a place; that Jesus is our home, not a building. It required many to trust Jesus by stepping-up to volunteer for our weekly set-up/tear-down. It cultivated dependency, patience, and prayer as we adapted to whatever space we had and looked for our next. It allowed us to keep a streamlined budget without larger facility costs. It also helped shape us as a very hospitable people. Yet, there are downsides to being mobile. First, being mobile is very challenging to coordinate as we need to work within the calendars, limitations, and availability of other spaces. Second, being mobile does not allow our entire staff team to office together, let alone volunteers and interns. Third, being mobile prevents us from having separate space and office hours for counseling. Fourth, being mobile limits our ability to host and/or participate in citywide events. Fifth, being mobile makes accommodating our bustling children’s ministry very difficult. Sixth, being mobile spreads our resources and gear throughout the city (e.g. we have an office at the Westin, band gear at Denny Park Lutheran, Sunday gear at AMC, and other gear in our individual homes). Seventh, being mobile doesn’t allow us to create any sort of substantive, visible, faithful presence in the city we’re called to. There are other challenges, but these are among the most significant. Therefore, over the last year and a half, we have scoured the downtown core for a more permanent space to accommodate our growing church. We have looked at purchase options to buy. We have looked at lease options. We have spoken with every theater, every concert hall, every rock venue, every hotel, every convention space. We found nothing. But, all that changed in December when we approached the owners of 2333 Western for the seventh time and – to make a long story, short – we now have a five-year lease. Securing this particular building for our next season of life and mission together will: (1) allow us to centralize our church life (office, meetings, leadership labs, prayer nights, classes, trainings, counseling, and more); (2) allow us to create a more substantive and visible presence in the city; (3) give us more options to handle growth (i.e. multiple services); (4) give us more opportunities to host and participate in community-sponsored events; (5) save time and volunteer resources now required as a mobile church; (6) better provide and care for our children and families; (7) save us hundreds of thousands of dollars on build-out; and (8) be more readily accessible. In a word, this is a huge evidence of God’s grace. All told, there are tremendous benefits to having our own building that serves as a central hub for declaring and displaying the goodness of the good news of Jesus in this city we all love. As with anything, there are potential negative side-effects to having a building that we should be aware of. (1) A building can cause a church to think they’ve “arrived” and become subtly lulled to sleep as consumers rather than fiery, faith-filled participants; (2) A building can cause a church to shift from a “living sent” to a “come and sit” mentality, thus taking the edge off our call to spread the gospel; (3) A building can also cause a shift of resources and energy to up-keep rather than an ongoing pursuit and love for actual people. These are real dangers, but they do not outweigh the benefits of having a building. Provided that we seek first the Kingdom and his righteousness (Mt6:33) we can trust him to keep us out of these potential snares. I couldn’t be more excited and, to be honest, slightly overwhelmed by this turn of events. But, I trust our good and faithful God is leading the way, just as He has up until now. He will not falter or fail to keep His promises to us. He cannot not be faithful. That’s who He is. Let’s keep our first love our first love (Rev2:4), pressing forward together, and ask Him to do above and beyond all that we ask think or imagine (Eph 3:20-21). There are still many in this city who are His (Acts 18:10). Those of you who were with us Sunday morning heard the exciting news that we have found a building for our next season of life and mission together. After years of searching, and months of negotiating, this past Friday we signed a five-year lease on a building located at 2333 Western Ave. Jesus heard and answered our prayers in a very dramatic way. This space was previously occupied by the downtown campus of Mars Hill Church, but was sold when they moved to a different location. As a result, it has sat empty for the last two and a half years. Jesus has been kind to preserve the work of those who have gone faithfully before us – and we get to be the beneficiaries. In light of all of this, we are hosting an informal “Open House” this coming Wednesday. This meeting will replace this month’s prayer night. The doors will open at 6:30pm, so everyone will have time to walk through the space. We will then gather around 7:00pm to talk about our plan moving forward, our strategy for getting the building prepared, pray and sing. It’s going to be a great night and we’re going to need all hands on deck. Our plan is to get into the space relatively quickly because (1) it doesn’t need a lot of work and (2) we are already paying rent. As of right now we are aiming to have our first Sunday in the building on March 29th (one week before Easter). Since the main gathering space fits 350-ish chairs (and our current theater at AMC fits 550), we will need to move to two services, likely 9:00am and 11:15am. We’ll be rolling out more information on that front. Many of you have already graciously expressed interest in helping get the space prepared, and even offered particular gifts or services. To help keep track of all this we have created a volunteer sign-up form. If you’re able to help, in any capacity, please consider completing this form. At this point, we will likely have several larger work parties with many smaller ones sprinkled throughout the next three weeks. We have been saving for a more permanent gathering space from the very beginning. By God’s grace, we don’t need to do a major capital campaign in order to get into the building because we already have those dollars saved. Thank you to all who have given sacrificially, cheerfully and regularly to make that a reality. However, as far as we know at this point, this building is not going to be a long term space beyond the five year lease. We plan to continue to save in order to buy a space and not dig too deeply, or unnecessarily, into our savings during this move. So, in light of that, we have created a separate “Building fund” for anyone who would like to contribute to this particular project. You can access that here. This would, of course, be above and beyond your normal giving. Let’s keep in mind that the building located at 2333 Western is just a building. Without question, let’s rejoice and thank our gracious, gift-giving King for answering our prayers! Yes! Yes! Yes! But, at the same time, let’s remember that this building is just a tool for spreading the supremacy of God, in all things, in our city. Our ultimate hope is in Him and not this, or any other, building. This doesn’t change who we are. We are still DCC. We still want to build a great city through the gospel of Jesus Christ for the glory of God. The church is still a people, not a place, but it sure is nice to have a place for the people. He is positioning us well for our next season together. Friends, we got a building! I hope to see you all on Wednesday. This week, we launched a new community in North Queen Anne! By God’s grace, this is the third community living life together in Queen Anne. Tyler Ashby, who previously led the Uptown community, is now leading North Queen Anne. We asked him to answer a few questions about the people, vision, and prayer requests for the newly forming community. What are you excited about for this North Queen Anne launch? It’s clear that God is growing his church on Queen Anne! It’s exciting to be part of this unique replication of two communities becoming a third. Also, since the location is right next to the SPU campus, we’re really looking forward to serving the campus and their students as a community. Any specific ways we can be praying? Please pray that our affections for Jesus would grow and we would trust him more deeply than ever. Pray that the Gospel would be the foundation of what we build together as a family and that we would grow as disciple-making disciples. Pray for relationships to form (not everyone knows each other yet). Lastly, pray for more leaders to be trained and equipped to lead even more communities! If you are not currently participating with a DCC Community and would like to be involved with North Queen Anne or another community, email community@downtowncornerstone.org. The Christmas story is not merely an irrelevant story of ancient antiquity. It is our story; the story of the world. Its the story of God pursuing those He loves, becoming one of us in order to rescue us. It’s the story of redemption, hope, and salvation. It’s the story of fulfilled promises, changed lives, and amazing grace. Its the story that makes sense of, and gives purpose to, all of our individual stories. Cyril is right, all of this “runs the risk of being disbelieved precisely because it is so incredibly wonderful.” That’s what Christmas is about – this too-good-to-be-true news of Jesus. That is cause for wonder and celebration. In light of that, I invite you to join us next Wednesday (24th) on Christmas Eve, at 5:00pm (AMC Pacific Place) to celebrate the first arrival of the Savior, God-come-in-the-flesh, and anticipate His return. We’ll sing, pray, and learn from the scriptures. We have a kids choir in the works, all parking will be validated and we’re conveniently located in a mall for your last minute shopping needs (!) The King has come – and is coming again. Corporately, we’ve chosen to partner with DSHS this advent season to provide comfortable clothes for foster children entering state care. On any given day there are 1,300 to 1,500 children in foster care in King County. Whether children are picked up from school or removed directly from home, they often don’t have the chance to bring their clothes with them. Consequently, many children come into foster care without coats or sometimes even socks! It can take weeks for DSHS to get foster children these basic winter essentials. Life in foster care can be extraordinarily challenging and disruptive for kids and teens, both emotionally and developmentally. Having the comfort of warm clothes can go a long way in helping children transition into foster care. The items donated will give DSHS offices a supply of winter items to give out to children as soon as they enter care. Donations: Bring in your donations every Sunday at AMC Theaters, now through the end of December. You can also purchase online and have items shipped directly to DCC. Details: For a full list of details, including clothing items, Amazon shopping list ideas, and more, visit downtowncornerstone.org/foster-care-drive. Flyer: If you would like to place a receptacle in your apartment building or workplace, you can download a promotional flyer HERE. Don’t forget to write your name and phone number on it, so people can follow up with questions! Being part of a church plant is like watching God unfold a miracle over time. It was not long ago that we, as a people, did not even exist. God is gracious! It has been one of the greatest privileges of my life to be part of what He is doing in and through this church. Without question, every church is a unique work of the Holy Spirit, but I am deeply grateful to be part of this one. Though much has changed over our short amount of time together, our reason for being hasn’t. We exist to build a great city through the gospel of Jesus Christ for the glory of God. We want to see as many people as possible, from the avenues to the alley-ways, meet Jesus and experience life as it was intended to be, in Him, now and forever. We are part of God’s unfolding story, in our generation, in our city. In our early days we put together a prospectus that outlined who and what we believed Jesus was calling us to be and do in our city. That was four years ago and most of you were not with us then. In light of that, we have created this Annual Report—our first ever—as an updated resource that captures who we are and where, by God’s grace, we are going. There’s a lot of grace contained within the pages of our Annual Report. In this report we recount evidences of God’s movement among us, articulate who we are, introduce leaders, provide ministry updates, highlight fun statistics, offer a brief financial recap, and share our prayerful focus for the next season of life and mission together. We hope you find it to be life-giving, faith-building and God-exalting. We love Him because He first loved us. May He keep us on fire for His supremacy in all things in the year to come. Let’s lean on who God is and all that He is for us, in Christ. His promises are true and they cannot fail. He alone is worthy of our days, dollars and devotion. We continue to envision thousands of people, from many churches and church plants, from many parts of Seattle, united under a new identity in Jesus and sent to love, serve and challenge the city with the gospel. I invite you to join us in being part of seeing that vision become even more of a reality in the days ahead. Together, as always, let’s ask Him to do what only He can. Follow this link to read a full version of our Annual Report. Whether you’ve been running with us for some time now or are just beginning to check things out, you might be asking the question – what’s the best way to stay connected to all that’s happening at DCC? That’s a great question. Lots of ways actually. And we wanted to highlight a few of those for you this week! We are regularly updating our blog with events details, updates, answers to FAQ’s, and stories of the ways Jesus is at work in our church and across our city. If you’re reading this now, you’ve likely found our blog. That’s great. And we’d recommend checking back often for helpful info and snapshots into the life of our church here in Seattle. The City is an online social networking tool that we use to stay connected with one another throughout the week. It’s kind of like a virtual neighborhood. Event invites, casual meetups, prayer requests, and pastoral notes are just a few of the things you’ll find and enjoy about being connected to The City. To get connected to The City, drop by the Connect Desk on Sunday mornings or talk to your community leader. We’d love to invite you into our online network! You’ll find a lot of useful information and updates on our Facebook and Twitter pages. Our desire is to make these channels useful as a resource for you to learn of creative ways to enjoy our city (e.g. festivals, spray parks, concerts, events), as well as keep you updated on what’s happening at DCC. You’ll also find regular quotes and verses to encourage your soul throughout the week. Like us or follow us online to get fun ideas, encouraging quotes, and event updates! We are also thrilled to be able to offer our official DCC App! You can listen to past sermons, check out videos, read the blog, find a community, and even see the previous Sunday’s handout. Our app is available for iPhones/iPads, Windows and Android phones. There are lots of great ways to stay connected! And if you are interested in learning more or even being a part of our newly-forming family in the heart of Seattle, we’d encourage you to visit us on Sunday mornings for our weekly gathering at 10am. You’ll get the best flavor for who we are as a people, what we value, how we do life together, and more by gathering us and getting connected to one of our community scattered across the city. For more information on our weekly gatherings or to get connected to a community in your area, feel free to visit our webpage HERE or email us at info@downtowncornerstone.org. We’d love for you to join us! Our desire and mission in Cornerstone Kids is to build a great city through the gospel for the glory of God, beginning with our kids. We love our kids, and we’ve been prayerfully considering how to better serve our families through our check-in process, space layouts, content and more. With that in mind, we wanted to let you know of a few changes and resources for families who are gathering with us on Sunday mornings. If you know your family will be attending the service on Sunday, you can fill out this form to pre-register your kids for the service each week (up until an hour before the service start). We recommend you create a bookmark to the link on your web browser. When you arrive at the check-in desk on Sunday morning, we will have your children’s name tags printed and a pager ready for you. If you’d like us to send you a weekly email reminder to pre-register on Saturday, you can click HERE to sign-up. The preregistration process helps to streamline the check-in’s on Sunday morning and allow you more time to get settled for the gathering. Check-in’s open at 9:45am – come early! We know it can be a challenge to get the kids all packed up, arrive downtown, navigate the elevators and escalators, check in your kids, grab a cup of coffee, and still make it upstairs with enough time to find a seat. For that reason, we want to help by encouraging you to check-in your kids early. This also helps our families who may be running late due to unforeseen circumstances. Our check-in’s are open at 9:45am (sometimes even a little earlier! ), so please feel welcome to come early, check in your kids, and grab a cup of coffee without having to rush into the gathering. We validate parking for all Cornerstone Kids families in the Pacific Place garage for up to 3 hours! The Pacific Place garage is conveniently located in the same building as AMC theater. Please just bring your parking stub with you and stop by the Cornerstone Kids Check-In Desk to get your parking validated. If you have any questions, please don’t hesitate to contact us at info@downtowncornerstone.org. We count it a privilege to partner with you each week for the good of our kids and the glory of Jesus in our city. We are excited to continue witnessing Jesus’ unfolding story being written in the lives of every child within Cornerstone Kids. This Saturday 11 of us will leave for Brazil for 9 days of ministry (Aug 9th-18th) alongside Restore Brazil and church planting efforts in the flavelas (slums) of Rio. Personally, I couldn’t be more excited for this trip and for the team Jesus has brought together. We’re looking forward to serving and ministering alongside our fellow brothers and sisters in Rio! 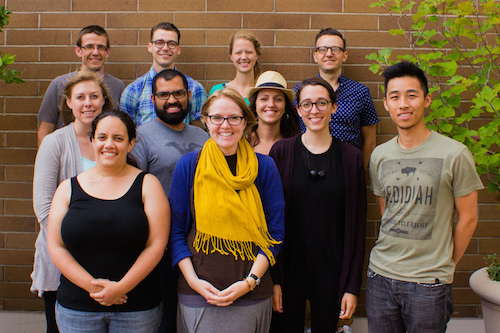 (Top Left) Pastor David Parker, Tyler Johnson, Linnell Pitt, Edward Sumner, (Middle Left) Catie Rizzo, Peter Isaza, Katie Collins, (Bottom Left) Anne Johnson, Shelley Pierson, Chelsey Scheffe, Peter Duong. As we get ready to go, I wanted to send out a brief update so you know how you can be thanking Jesus with us, and praying for us over the next few weeks. First, Thank You! This past Sunday evening, we packed over 17 suitcases (with a few more to go! ), filled with hundreds of toiletry kits, mercy outreach supplies, kids activities, toys, games, shoes, a/v equipment, and more! Not only has Jesus provided for our whole team to go, but I’m so thankful to see God’s provision above and beyond our goal, and that we’re able to bring so many needed things down to Brazil to bless the churches we’ll be partnering with. Thank you to those who gave above and beyond to see the Gospel take a deeper root in Rio! Will you commit to praying for us these next two weeks? Pray for safety in travel, and that all our suitcases would make it there safety and get through customs. Pray for continued unity on our team and that we would be rooted and grounded in all that God is for us in Christ, regardless of what might happen on the trip. Pray that we would be a blessing to the churches in Rio, and that through our outreach and partnerships, some would trust in Jesus for the first time. Pray for me as I preach in one of the churches we’ll be partnering with, that Jesus would break down any social and language barriers, so that others would get to taste and see how good our Savior is. Pray for energy for all of us. We have a full week of ministry with kids, the homeless, the addicted, and the orphaned as well as lots of other ministry and details (music, video, training, repairing equipment, etc.). Pray that above all else, through this trip Jesus and His glory would be made known to everyone; from those we’ll share a seat with on the plane, to the most needy and broken in Rio. This Friday, August 8th, at 6:30 we’re going to meet as a team in the ImPark parking lot at 5th and Bell Street to handoff suitcases, do some last minute shuffling of gear, and pray together. We’d love to have anyone that can and wants to join us in praying for this trip to come out! Lastly, many of you have asked how you can stay up to date with us while we’re in Brazil? Great question! We created a public FaceBook page, that we’ll be posting trip updates to as we’re able. It’s a public page, so you can still view it, even if you don’t have a FaceBook account. As well, we’ll be using the hashtag #DCCbrazil2014 on Twitter and Instagram if you want to follow updates there as well.